A new study has found that insect species are facing a critical decline in numbers, potentially spelling doom for the entire animal kingdom. The research, first reported by the Guardian, reveals that a staggering 40 percent of all insect species are facing a dangerously steep decline while a third are endangered. The decline of insects – which has been eight times faster than that of mammals, birds and reptiles – has been holding steady at a startling 2.5 percent per year. 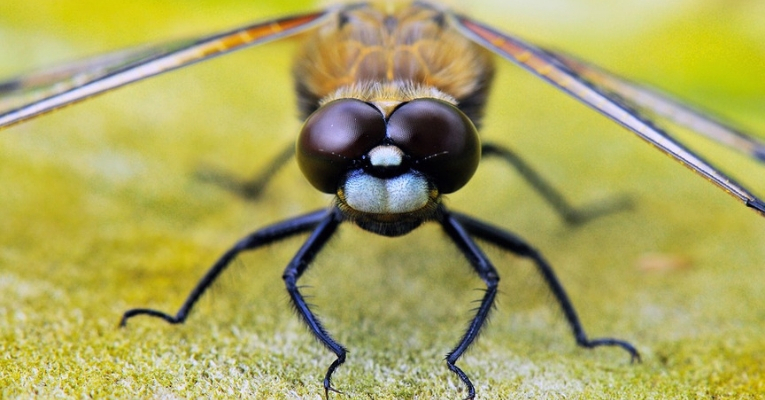 Insects remain, by far, the most numerous and varied animals on the planet, with numbers estimated to outweigh all of humankind by at least 17 times. Likewise, they outnumber all sea creatures as well as land mammals. As such, the nearly 30 million species of insects form the backbone our ecosystems, playing an essential role as pollinators, nutrient recyclers, and base members of the food chain. The implications of the loss of insects will be felt, first and foremost, by creatures whose diets are directly reliant on insects such as amphibians, birds, fish, and reptiles.“If this food source is taken away, all these animals starve to death,” Sanchez-Bayo said. Such was the case in Puerto Rico, where the ground insect population has fallen by 98 percent in just over 35 years. Butterflies, bees, and moths have been among the worst-impacted insects. While previous studies were largely restricted to certain regions – including a 2017 study from Germany noting a 75 percent decline in flying insects over the course of 30 years – the latest study shows that the decline in bug populations isn’t isolated to individual ecosystems alone, but encompasses the entire Earth-system. The study largely draws from research in North America and Europe, with tropical regions remaining largely unaccounted-for. Yet the study shows that the impact on insect biodiversity has impacted a wide variety of insects, including both “generalist” insects that can adapt to other environments or food sources and “specialist” insects that rely on a tiny niche in the ecosystem, such as moths who rely on one particular plant to survive. “The [insect] trends confirm that the sixth major extinction event is profoundly impacting [on] life forms on our planet. It is imperative that humans re-think our agricultural processes. While there has been a recent increase in desire for organic produce, to prevent reaching a tipping point that we cannot return from, factory farming and capital-intensive agriculture should heed this warning and adjust accordingly. Organic and less harmful insecticides and pesticides are available but typically with a higher cost and insecticide producers like Bayer (formerly Monsanto), continue to make it far easier and cheaper for farmers and corporations to use their products than more environmentally friendly options.